More commuters are getting a chance to ride Metro's new rail cars. 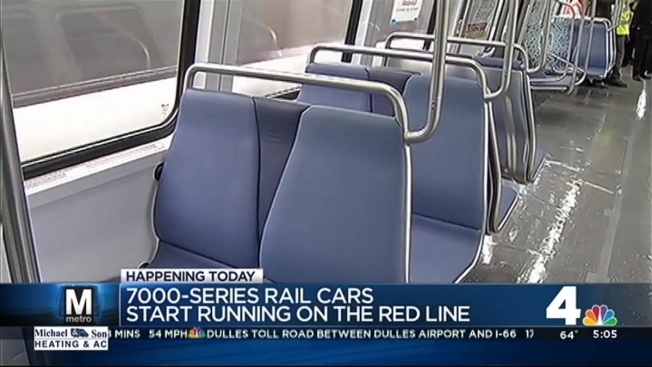 Metro deployed the new 7000 series rail cars Monday morning on its Red Line, the system's busiest and longest line. The 7000 series rail cars feature electronic signs, no-slip flooring instead of carpeting, and sleek blue seats, replacing the brown-and-orange color scheme in the old cars. The new cars made their debut on the Blue Line back in April.